When it comes to hauling wood, farming supplies, and other heavy cargo, only a utility trailer can get the job done. However, as simple as these tow-behinds might look, it pays to do a bit of research before buying this essential piece of equipment. One of the biggest decisions you’ll have to make is between single- and double-, or tandem-axle models. If you’re not sure which utility trailer is right for your needs, consult the guide below. If you’re looking for something that’s easy to ride down winding country roads and pull in and out of your driveway, you should probably invest in a single-axle utility trailer. Because they only feature two wheels, it’s easy to back into tight garages or barns or make quick turns despite your extended load. If your car or truck is hard to maneuver to begin with, driving conditions should be at the top of your priority list. While single-axle utility trailers may be easier to move around, tandem-axle models are rated better in terms of safety. Because they feature four wheels, the weight of your timber, gravel, or miscellaneous cargo will be spread evenly over two axles, reducing the risk of tire-related accidents. Tandem-axle utility trailers also have brakes on all four wheels, while their single-axle counterparts aren’t required to. Of course, if you won’t be taking long trips and don’t have much cargo to haul, your decision may be based primarily on cost. As you’d expect, single-axle trailers are less expensive than their tandem counterparts, as they’re smaller and contain fewer parts. Aside from the upfront costs, tandem-axle utility trailers will also cost more to maintain, as you’ll have to replace double the tires and repair twice the parts. However, since the weight of your load will be spread out on two axles, the tires won’t lose their tread as quickly. 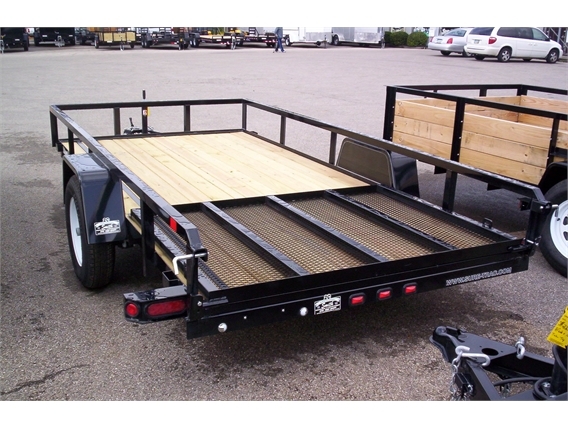 If you’re interested in buying a single or tandem-axle utility trailer, get in touch with Smith Trailers and Equipment of Cincinnati, OH. This trailer superstore has sold both of these options since 1992, as well as enclosed trailers and car haulers, so you can find whatever fits the bill. To learn more about their inventory, visit the website. You can also call (513) 755-2497 to speak with a friendly staff member about your needs.